The Regional Eye Center in Hutchinson, MN contacted Studio 544 Web Design to create a new web site for their full service eye clinic. The new responsive site offers several unique features including multiple online forms, an online resource library for eye care and image slider. The Regional Eye Center is composed of Ophthalmologists, Optometrists, Opticians and experienced Ophthalmic Technicians and Assistants. They provide a variety of eye care and optical services. 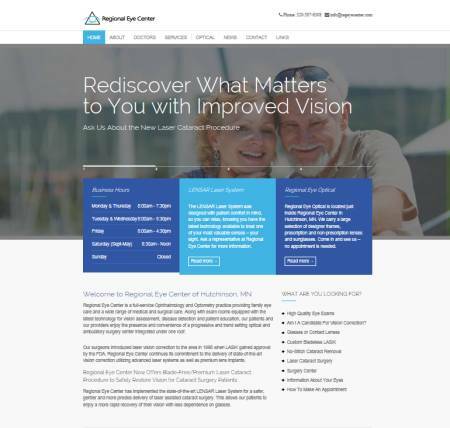 The new Regional Eye Center web site can be found at www.regeyecenter.com and incorporates a responsive design so it will look good on multiple devices including tablets and smart phones.